The 2009–2010 Charity Work Day took place March 13, 2010. It was a cold and rainy day, but still fun and productive! Members began working around 9:00 in the morning, and worked well past 5:00 in the afternoon. 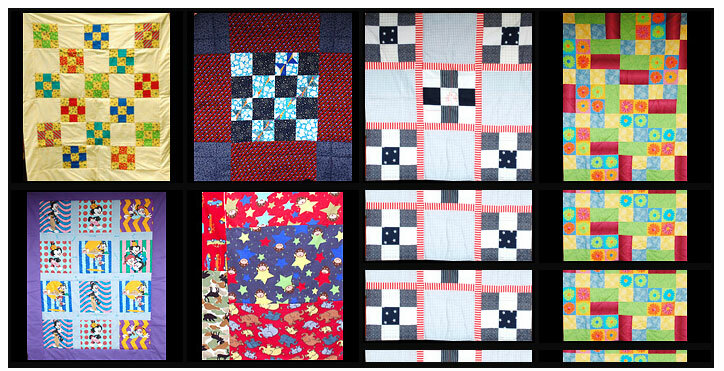 Here are the first 115 quilts completed during the day, and additional quilts turned in at other guild meetings. Enjoy!